During the Tenth Plenary Session of the Group on Earth Observations (GEO-X) (15-16 January 2014 Geneva, Switzerland) Interbalkan Environment Center’s (i-BEC) request for joining GEO as a Participating Organization was discussed and unanimously accepted. Established in 2005, GEO is a voluntary partnership of governments and organizations that envisions “a future wherein decisions and actions for the benefit of humankind are informed by coordinated, comprehensive and sustained Earth observations and information.” GEO Member governments include 102 nations and the European Commission, and 103 Participating Organizations comprised of international bodies with a mandate in Earth observations. The societal benefits identified by GEO illustrate how GEOSS serves the needs of the international community. The SBAs supply concrete examples of how decision makers can use the data and services available through GEOSS to address major global opportunities and challenges. None of the SBAs, of course, exists in isolation: the full value of the Global Earth Observation System of Systems lies in its ability to integrate information across disciplines. 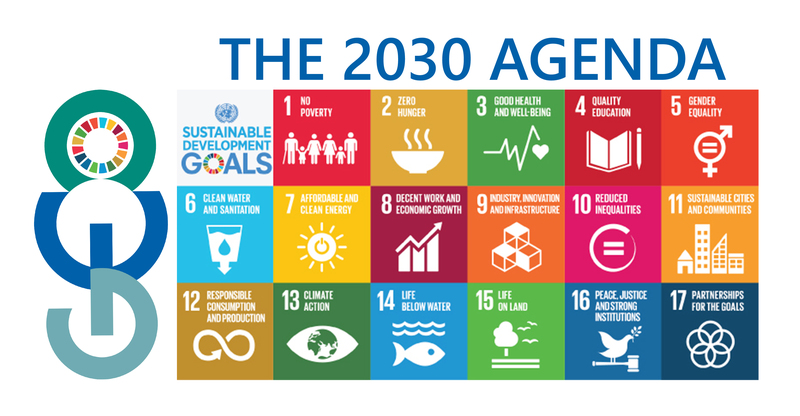 The Sustainable Development Goals (SDGs), otherwise known as the Global Goals, are a universal call to action to end poverty, protect the planet and ensure that all people enjoy peace and prosperity. These 17 Goals build on the successes of the Millennium Development Goals, while including new areas such as climate change, economic inequality, innovation, sustainable consumption, peace and justice, among other priorities. The goals are interconnected – often the key to success on one will involve tackling issues more commonly associated with another. Through the Group on Earth Observations (GEO) , Earth observation data, information and knowledge are available, and should be fully leveraged, in the SDG process. The GEO community is creating a Global Earth Observation System of Systems (GEOSS) that will link Earth observation resources world-wide across multiple Societal Benefit Areas – Biodiversity and Ecosystem Sustainability, Disaster Resilience, Energy and Mineral Resources Management, Food Security and Sustainable Agriculture, Infrastructure & Transportation Management, Public Health Surveillance, Sustainable Urban Development, Water Resources Management – and make those resources available for better informed decision-making.